“In Flanders Field the poppies blow. Between the crosses, row on row!” Words I will never forget! The importance of this day is a conversation that must happen, it’s never too early to start having these conversations. This year Miss Zoe and I did a Remembrance Day craft and talked about the “pretty flowers” everyone was wearing! On the 11th day of the 11th month at 11:11, all is quiet, no one moves and the world is still. In my home and many others around the world, a moment of silence is had! This can be a hard thing for a little one to understand and only you know what your child can handle. Zoe is a gentle soul and she’s not quite there! The other day Zoe saw a man wearing a “flower” and asked why. Then she noticed that I wear one too! This was a very natural segway into why Mommy and that man wear poppies. For now, it’s a pretty flower for a special day and every year we will build on that. She will naturally ask questions and I am proud that I will be able to answer them. Both of my grandparents served in World War 2. I have my grandma’s complete uniform and ID bracelet and various other mementos of her time in the war! Every year I watch the services in Ottawa on TV and I become consumed with sadness. I remember talking with my grandma about her time in London and sewing uniforms. She spoke of the sound of the bombs! I see those older men and women on TV at the services in Ottawa and I cry. 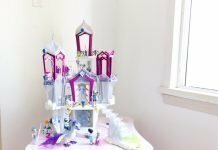 I cry that this is still a thing! 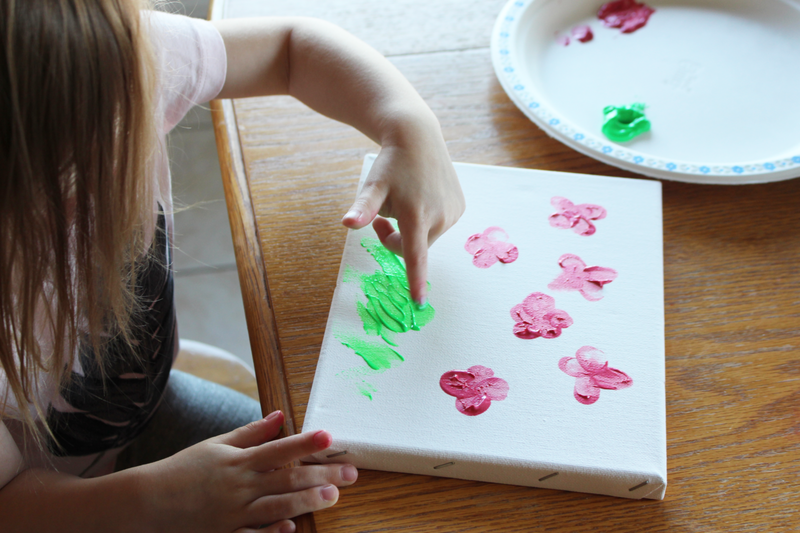 We got out a canvas from the dollar store, some finger paints and we painted our own pretty flowers (Poppies) using our thumbs and I talked to her about how special the pretty flowers were. Zoe’s love for my grandma is something so incredible. Zoe is just turning 3 and has only met G.G a few times, but she loves her so deeply. I told Zoe that when G.G was a young girl she used to make clothes for special people. Those special people fought really hard for Zoe.. “for toys?” she asks! For now, this is all she can understand and I’m proud she noticed the poppies. It’s never too young to try to have some important talks with your LO’s, you just have to modify them to how they will learn best and you are the best person to do that for them. 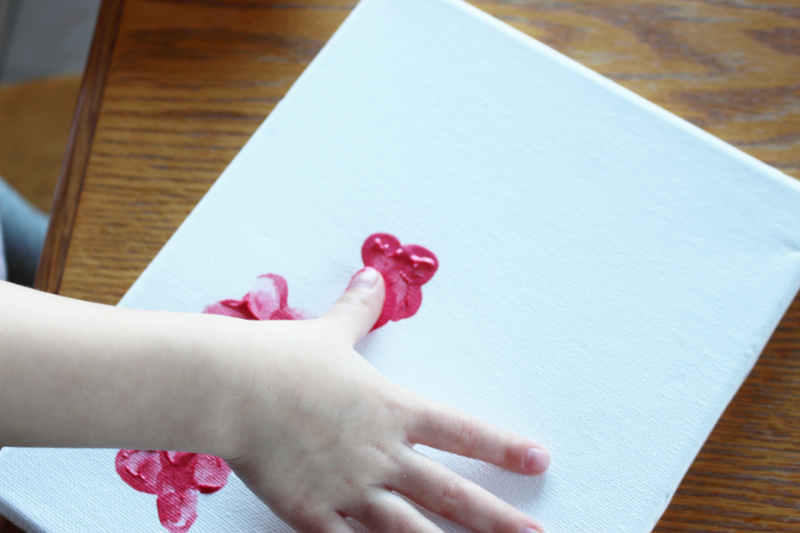 Dip their thumbs into the finger paint and have them press their thumb down onto the canvas 4 times, top, bottom and one on each side to create the poppies. Repeat this for however many poppies you’d like on your canvas! 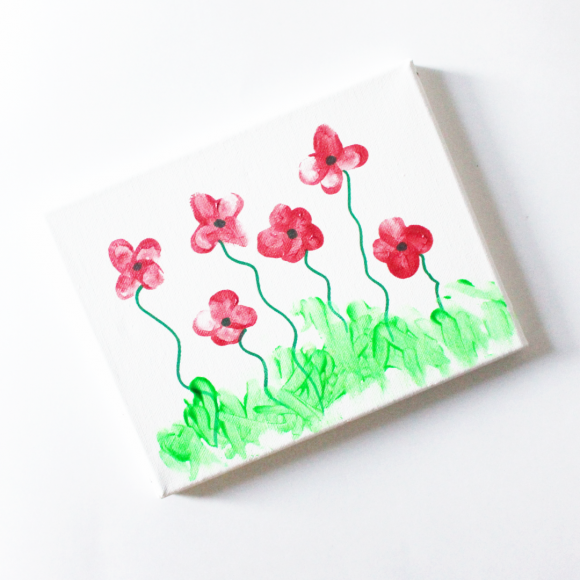 Once the poppies are dry, have them tip their index finger in the green paint and swipe from where you want the grass to stop to bottom of canvas! 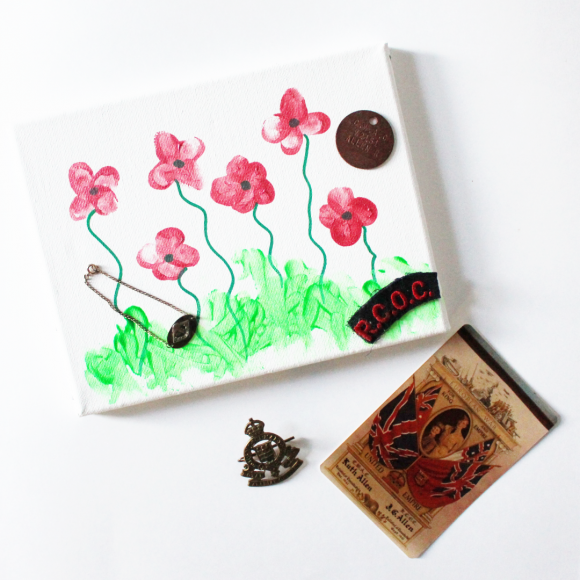 After the entire canvas is dry, you can use a green marker to draw in the stems and center of the flowers and voila, you have your own beautiful Remembrance Day craft to look back on and build on year after year! 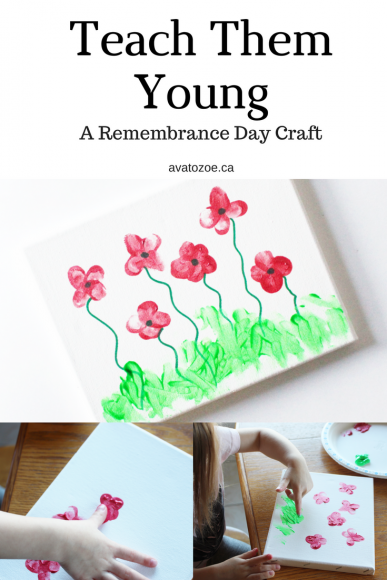 This Remembrance Day craft is very easy to do and also the beginning of a great conversation! 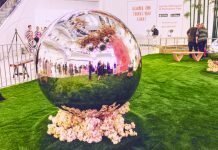 Next articleTis The Season for Shopping Local! 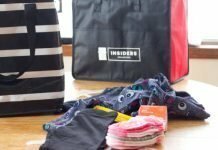 2017 Christmas Gift Guide!